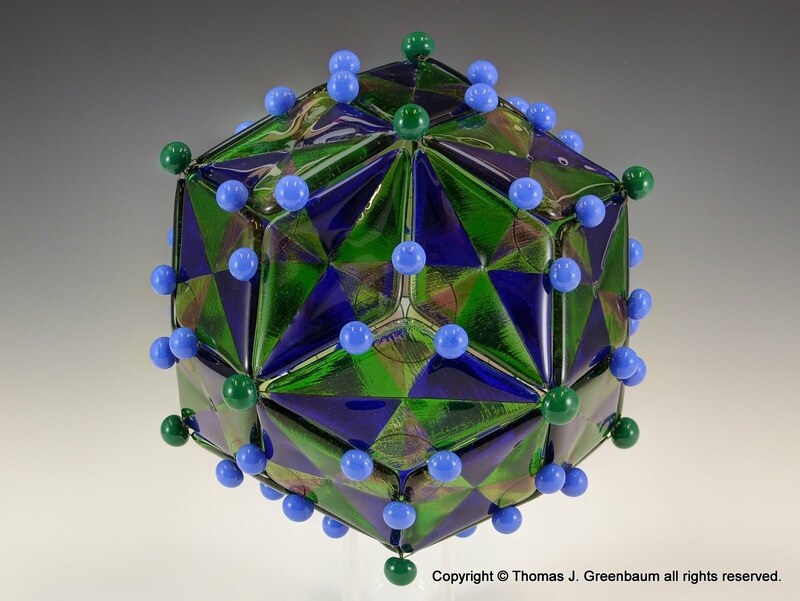 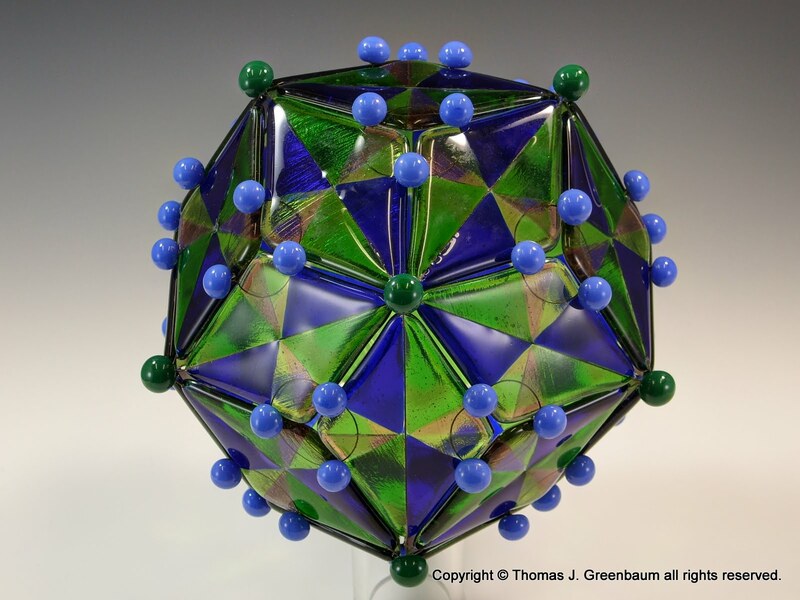 Glass sculpture comprising a 30-sided geometric figure called a triacontahedron. It is composed of 30 golden-rhombus fused glass panels. The panels are joined together with embedded stainless steel wire. 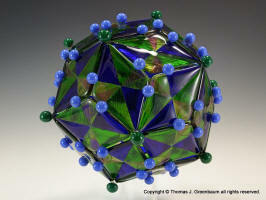 The wire junctions are covered with 72 flame-worked glass beads (60 blue beads and 12 green beads). 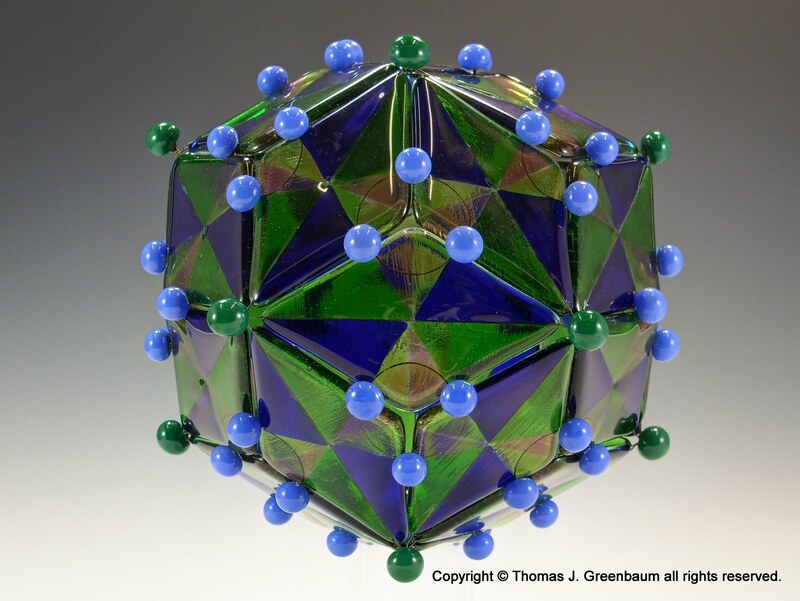 The green beads are at the vertices of an icosahedron.